Most important of all the ‘Gustavs’ was the Bf l09G-6 which, in various sub-variants, was powered by AM, AS, ASH, ASD or ASM versions of the DE 605 engine; with provision for two underwing 20 mm MG 151/20 guns. 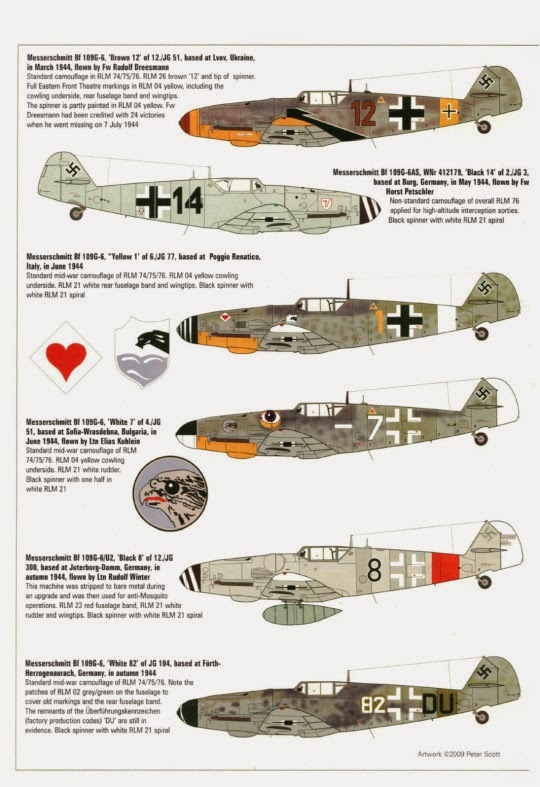 Numerous Rustsätze kits were produced to increase armament, including those to produce the Bf 109G-6/R1 fighter-bomber with a bomb load of up to 1,102 lbs (500 kg). 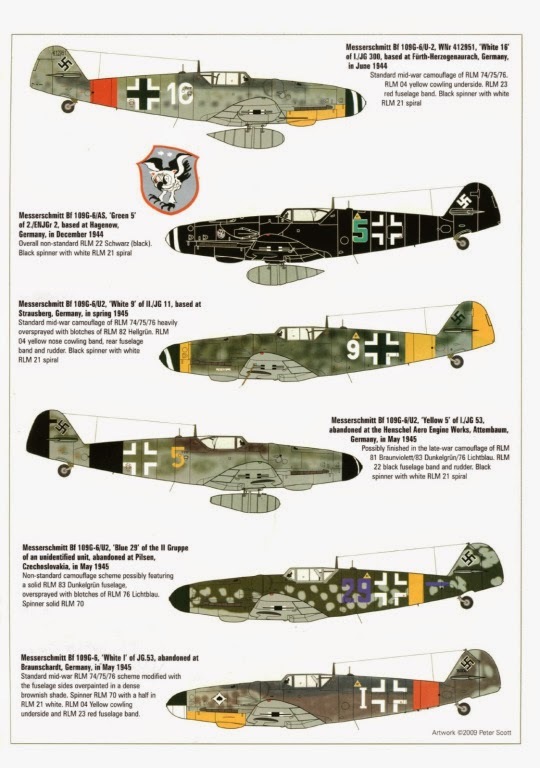 Most aimed at improving the Bf 109’s capability as a bomber-destroyer however, as the Defence of the Reich role steadily assumed greater importance. 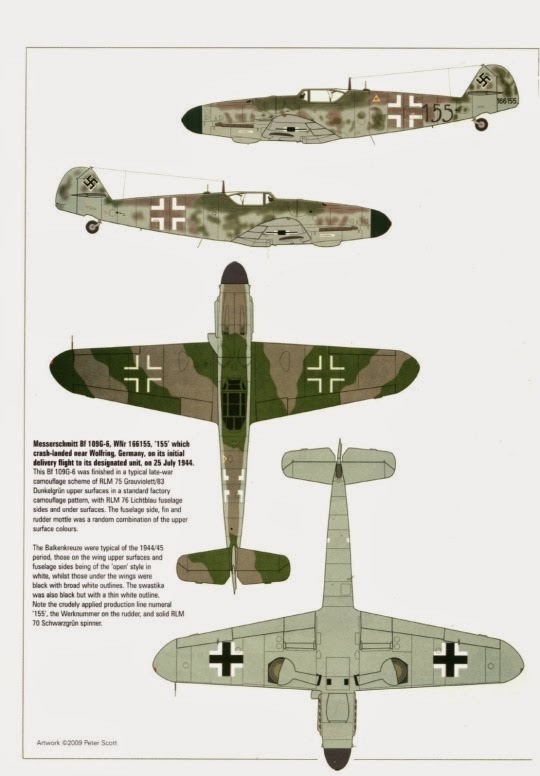 The Bf 109G-6/R2 bomber-destroyer had two 21 cm (8.27 in) WGr 210 ‘Dodel’ rockets replacing the underwing cannon, while the Bf 109G-6/U4 (with an Umrust-Bausatz or factory conversion set) was armed with two 30 mm MK 108 underwing cannon, and the Bf 109G-6/U4N night-fighter carried radar. Tropicalised versions of most of these were also produced.